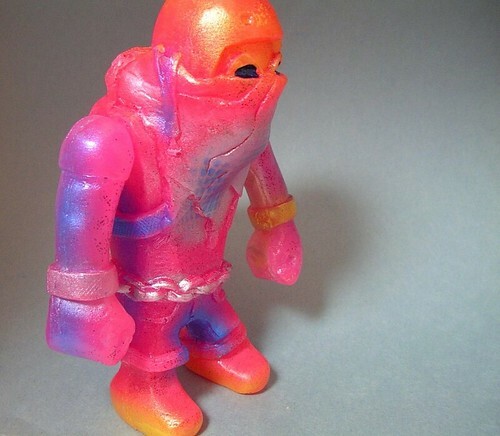 Fluorescent Pink Glitter resin with Metallic Blue, Pink, Silver, and Yellow spray. Limited to 2 in a bag on header. Available now for $32 at the uhoh Toys webstore.